The Dione Headboard by Limelight is a simlistic yet highly attractive American Oak headboard that helps to create a traditional look to your bed frame though it would also be at home in the more contemporary styled bedroom. 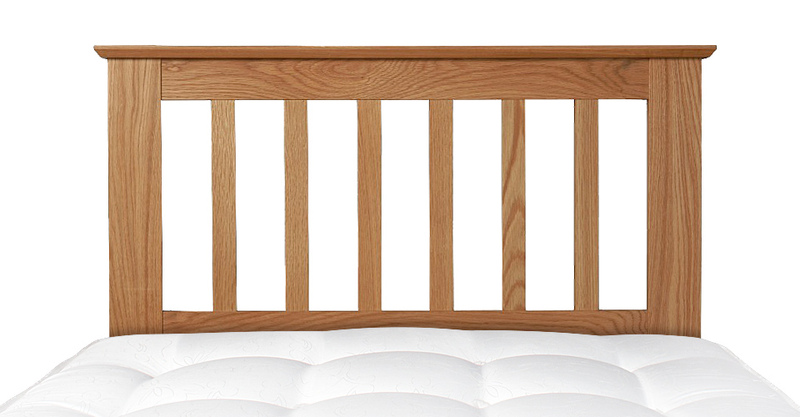 This headboard would be suitable for any existing divan base that has struts enabling a headboard to be attached. The Dione Headboard by Limelight is made from American Oak ensuring a traditional well built headboard. Please quote this Products's code 09056H to speed up your query if related.